$ 895 - Score Pub table in Standard finish w/ 42" round glass top. 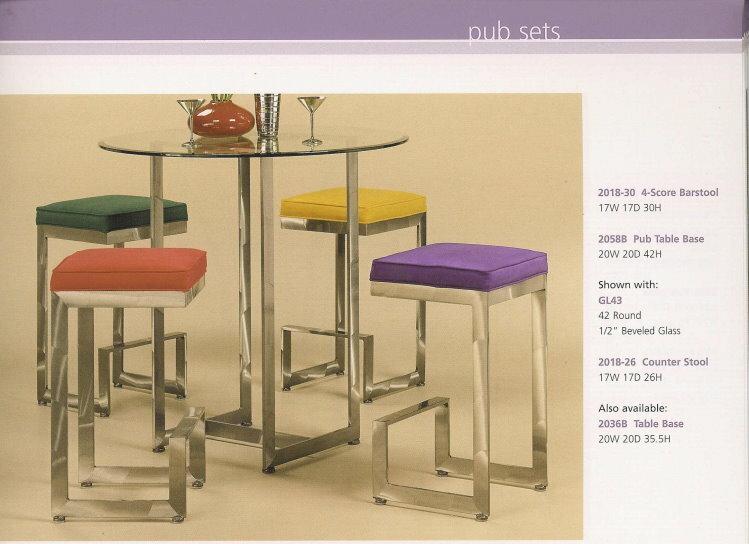 Score bar stool with Score Pub table in steel w/Topaz finish in beuatiful North Carolina fabrics. It's affordable too. Made in the USA. See Metal Samples Request info. $ 350 ea. 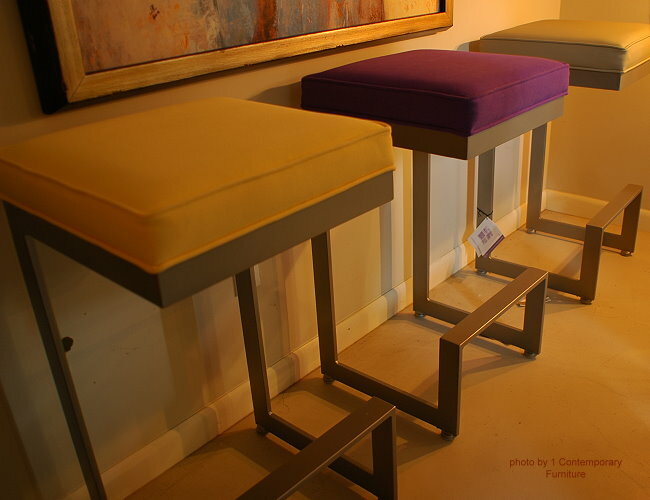 - Score bar stool in Topaz finish & micro-suede. 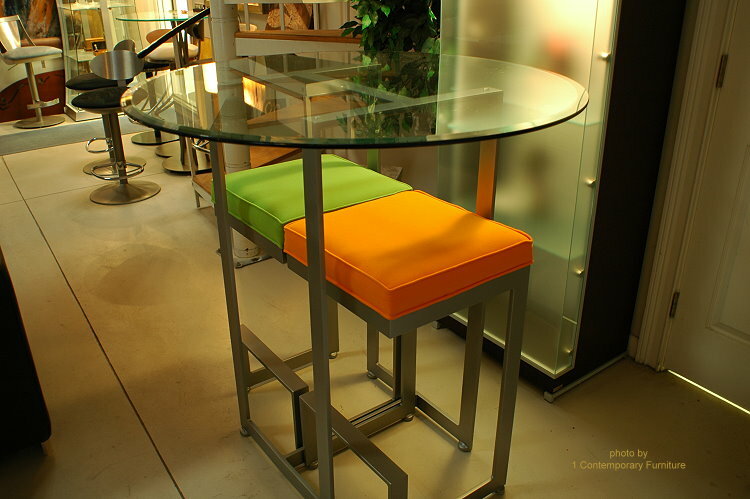 $ 995 - Score Pub table in Premium finish w/ 42" round glass top. Plus many sizes and shapes in glass tops.